Tver (Russian: Тверь) is a city and the administrative centre of Tver Oblast, Russia. Population: 403,606 (2010 Census). 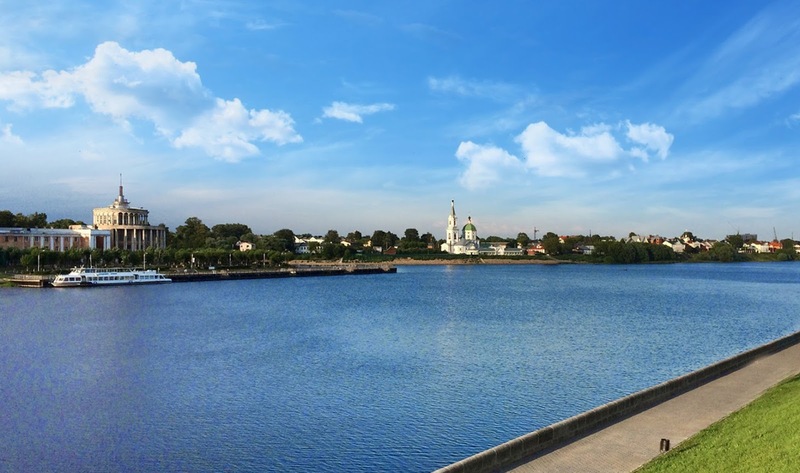 Located 180 kilometres northwest of Moscow, Tver was formerly the capital of a powerful medieval state and a model provincial town in the Russian Empire, with a population of 60,000 on January 14, 1913. It is situated at the confluence of the Volga and Tvertsa Rivers. The city was known as Kalinin (Кали́нин) from 1931 to 1990. The city is situated at the conflux of three rivers, splitting the town into northern and southern parts by the Volga River, and then divided up again into quarters by the Tvertsa River, which splits the left (northern) bank into east and west halves, and the Tmaka River which does the same along the southern bank. This looks lovely. I'd never heard of this place, but from your photo it looks like it would be a nice place to visit. Not what I would expect reading the photo is in Russia. Beautiful. We once travelled through Russia on a cruise ship, visiting various ports along the way, and we enjoyed it very much.